When I first became a believer, I had no guide; well, I did, but I didn’t know it. No one told me about the Holy Spirit, or if they did, I didn’t get it. No one told me the Bible was the story of Jesus from Genesis to Revelation. No one told me accepting Christ wasn’t just about repenting of sin – that was only a small part of allowing Jesus to take my hand. More importantly, it was about allowing him to lead me to the Father, and letting the Father embrace and restore me in His unconditional love and generous grace. 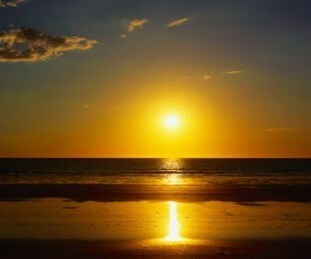 It was about accepting His gift of inheritance – the inheritance of everlasting acceptance as His own. It was about growing in the acknowledgment that He walks with me through every circumstance. It was about His plan to restore all of us to Himself; His family. 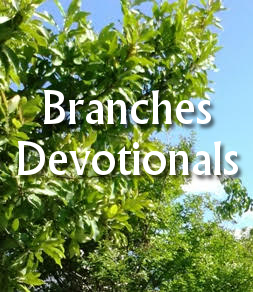 For the last several years, I have been writing Branches Devotional Collection, a devotional Bible series for New Believers, Christian families and people who simply want to grow in their faith. I have been able to write this study through a two-year course in Bible interpretation, my own experience in being open to the hearts and minds of others, and the prompting of the Holy Spirit who reminds me daily of the words of Jesus. And as I wrote, I began to see the threads that connect it all into a giant, woven pattern that is the beautiful tapestry, from Genesis to Revelation, of God’s planned restoration for all of creation through Jesus. The more time I spend under the Father’s tutelage, the more I came to see and experience the depth of His love, the tenacity of His grace, and the extent of His compassion. That is why Branches takes small but significant portions of God’s Word and illustrates how they are not fear-based, but loved based, and are reoccurring themes throughout the Bible. As you allow the Spirit to take hold of your heart, you can become more familiar with your Bible. You can feel less uncertainty and apprehension about reading God’s Word. You can begin to understand things that only appear to be contradictions. You can also put certain passages you’ve become familiar with in the context of its purpose for being written. You can do all this and more if you allow your heart to remain open. If you want to begin the New Year with Jesus from The Beginning, I invite you to download Branches: Genesis, The Beginning. May you be blessed with a closer relationship with Him. downloaded this. Trying to remember how to get the pdf onto my Kindle for easier access. Thank you so much for offering this to us. You’re welcome, Paula. Hmmm. I’m not certain about the Kindle. I’ll see if I can figure that out for you. Genesis is the beginning, I have been trying to work my way through different things in the bible. 2012, for me, I walked into a church wondering what is there to life. After a lifetime of nothing, the changes in me has lifted my life out of no-where. When I walk into hospital on the 6th of January from then on there is no more looking back. That is my Genesis. God will be with me for the rest of my life now, God has gotten me through some of the worst parts of my life. It is so cool that you put words to what you have learned so others can gain knowledge and understanding. I look forward to reading it. Thanks for everything you do and have a very Merry Christmas and I pray that God will continue to bless you and guide you in the upcoming years. Thank you, Bill. I pray many will not be burdened by legalism or worrying about sin, but instead look toward forming a relationship with God, and accept His unconditional love.